Entered the world of Hip-Hop via doing a little a bit of Breakin, It wasn't until Dizar saw a segment on television that featured turntablism one morning that really inspired him to get a pair of decks. "It amazed me, moving the record back and forth to create sounds"
In May 2001, Dizar bought decks and started to rock parties. To further the arts on turntablism, He learnt off videos then learnt from the best at the United DJ's mixing school. Shortly after, joined the Nstrg8trz DJ Crew which enabled more jamming sessions for Dizar. 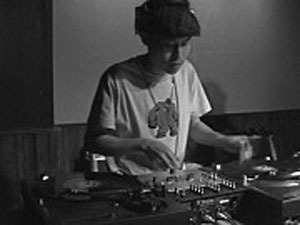 Entering Dj Battles and Competitions, has done well in gaining 3rd place in 2004 DMC DJ Championships NSW Australia and 4th place 2005 ITF DJ Championships "Advancement Class" North Coast Region Australia. Continuing to rock the 1's and 2's at many venues and performing special turntablist showcases at various hip-hop jams you can also catch Dizar on Sensei.fm with Hell Money Program or on the Sensei.fm livestream from time to time. In the summer of 2011 linked up with the 5 piece Ska/Reggae/Hip-hop Band "Left Step Band" as a turntablist jumping on the festival circuit playing in various festivals in the UK. LSB continues to do shows in London and all around the country and beyond.